Today is the first day of Fall. Time to start planning your Halloween Horror movies. I want to give you a few rare gems to get you in the mood. On my bands first album we have a song called Dust Devil. The song is named after the movie Dust Devil. (If you are in Seattle come out to the Sea Monster Lounge at 7pm. Free Show! We are playing Dust Devil.) This horror movie was written and directed by Richard Stanley, the brilliant mind behind the videos for Fields of the Nephilim. If you haven’t seen it, take the time to find a copy. He’s not just a serial killer, he’s much worse doesn’t even begin describe it. Wendy Robinson is being pursued by the Dust Devil because she no longer wants the spark of life she’s been given. The demon has sensed her willingness to cross over but she changes her mind. The winds of the desert stoke the fires as Wendy fights for her soul and the Dust Devil fights for his immortality. 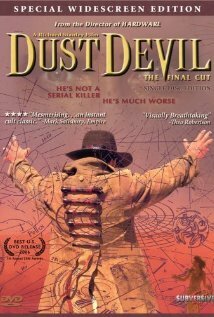 Dust Devil is a cult classic worthy of hunting down. Did you see Thor: The Dark World? Tom Hiddleston was amazing right? Well check this out. Two vampires, Adam and Eve, reunite after Eve senses Adam’s suicidal depression. He wants to end it all and his human friend Ian, obtains a wooden bullet for Adam to end it all. Eve comes all the way from Tangier to Detroit to see her lover. After days of reconnecting, Ava, Eve’s younger and wilder sister, shows up to cause trouble. They start running and wind up back in Tangier. This cast is like a dream. Tom Hiddleston plays the dark and brooding Adam. Tilda Swanson, who I have a huge crush on, plays Eve. Mia Wasikowska plays Ava. The always endearing John Hurt plays Marlowe. Anyon Yelchin plays Ian. Jeffrey Wright plays Dr. Watson. Look at that cast! Loki, The Snow Queen, Alice, Professor Bruttenholm, Chekov and Beett walk into a bar… It’s a fantastic cast. The Director is super quirky too. He’s directed, Ghost Dog; Coffee and Cigarrettes and Deadman with Johnny Depp. The movie is slow and has lots of scene that just set the overall tone for the movie, even if they don’t really affect the plot. It reminds me of Blood and Donuts. What the hell happened to Vampires? 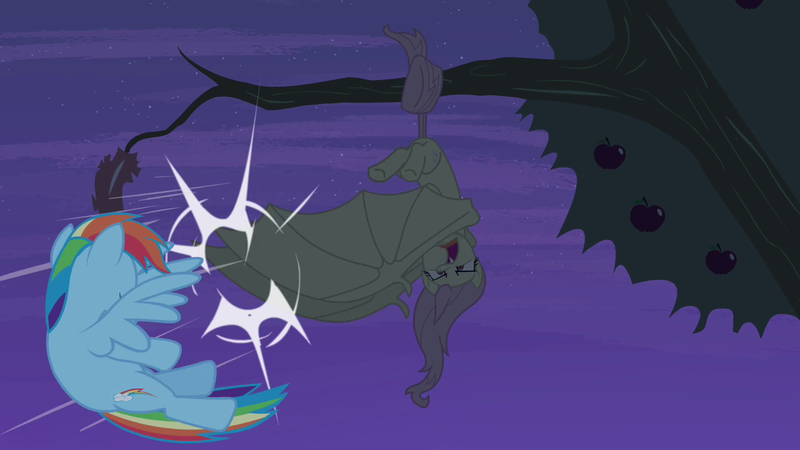 Twilight isn’t the first example of a touchy feely vampire but it sure has diluted the blood pool. Lately there are a lot of movies and tv shows coming out with vampires that aren’t your Mother’s vampire. 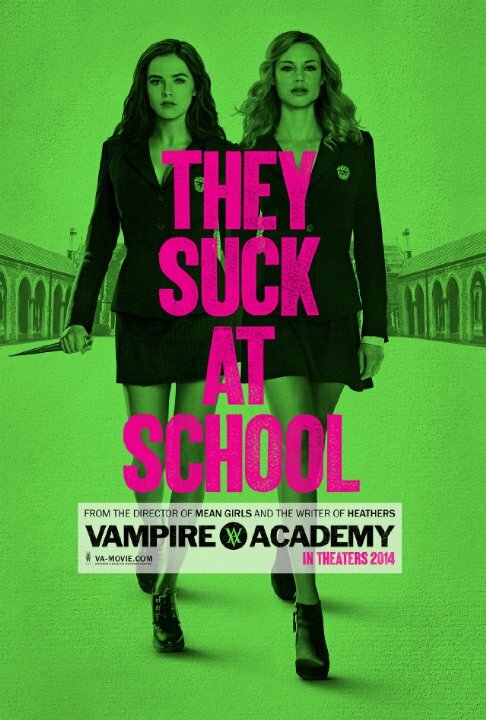 Vampire Academy is the latest to add to the pool of weak vampires. They are so normal they have to have body gaurds. My favorite vampires are Dracula from Braham Stoker’s Dracula and Armond from “Interview With a Vampire.” Here are examples of many, strong and yet gentle vampires. They are lovers and fighters and they don’t sparkle. This post is mostly a rant. We’ll get you a good post tomorrow. 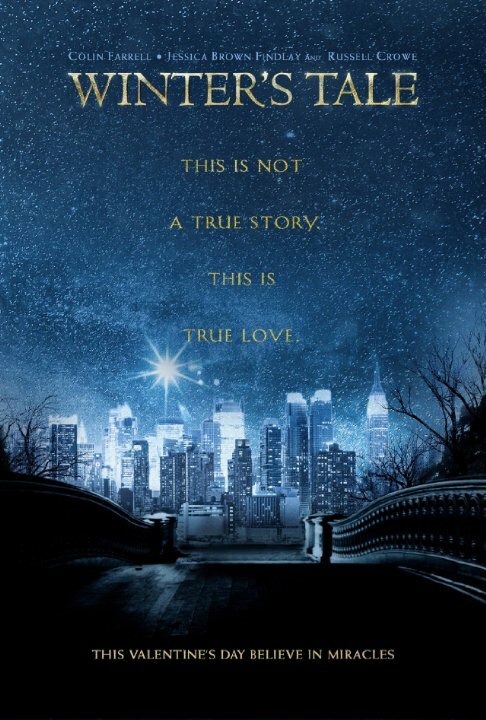 Every young adult novel that is doing well right now gets a movie adaptation. YOU GET A MOVIE ADAPTATION! YOU GET A MOVIE ADAPTATION! EVERYONE GETS A MOVIE ADAPTATION! It’s like on Oprah when everyone get’s a new car. Vampire Academy is adapted from the books written by Richelle Mead. There are six books people, let’s hope this series is good. The plot hinges on two teenagers. Moroi princess Vasilisa “Lissa” Dragomir and her gaurdian Rosemarie “Rose” Hathaway. They ran away two years earlier and have now been found and brought back to the academy. Rose is set to be taught by the head of the Gaurdians, Dimitri Belikov. The head Gaurdian is 24 years old and falls for Rose while she is training. Her ward Lissa is kidnapped and they have to get her back! Jennifer Connelly needs more work. New York is magical. There is romance, mystery and magic around every corner. Set in this place a burgler and a Lady of means meet and fall in love. Death separates them but teaches the burgler that he’s not alone. He’s still loved even after her death and that he has a special purpose. The movie is adapted from the novel of the same name by Mark Helprin. The New York City in his novel is based on historical figures and real places with a religious, spiritual and mythological flare. The main character has a mysterious white horse that keeps appearing. There is a great Bridge Builder that is trying to get back to Heaven. There are many strange occurances including a cloud wall that transports the main character, Peter Lake, through time. See the movie. Bring tissues and see this movie. Jennifer Connelly, Will Smith, Colin Farrell, William Hurt and Russel Crowe are all amongst the stars that appear in this movie. The trailers are nothing but gold. I am sure it will be an under appreciated but amazingly beautiful movie. The movie has been playing film festivals since 2013 and is finally getting a limited release to mainstream theaters in April.